This is possibly one of the easiest cocktails you can make. Therefor, there obviously are tons and tons of other names for this drink. Use a specific brand, and the drink probably has another name just like that. Since the ingredients are so simple, shaking isn't really needed. Just a bit of stirring should do the trick after you have poured all the ingredients over ice. For once, a cocktail, with a fairly clear history. This cocktail is originated out of Boston, in 1898. To be more specific, in the Locke-Ober restaurant. It has been told the drink was created to honor the election of Martin M. Lomasney in the General Court of Massachusetts. Shake the drink with ice, and serve in a chilled cocktail glass (cocktailglasses never contain ice). Can be garnished with a maraschino cherry and/or slice of orange. Time for a very old cocktail, the tom collins. One of the first time this cocktail showed up, was in Jerry Thomas' The Bartender's Guide, 1876 edition. Other then that, it's a rather simple recipe, so who exactly made it up..hard to tell. Pour everything together, except the club soda, shake, serve in a tom collins glass on ice. Then add the club soda to top it off, or by preferenced taste. Which is a rather important step, shaking the drink after adding something carbonated will not end that well. Time for another funky bottle, the baquba rum blanco. And that's the first thing you will notice, not a standard glass bottle, but like the picture shows, a aluminium blue bottle. But how outstanding it might look, it also gave me my first problem. It's a little bit hard to pour from, and i ended up pouring really really carefull not to spill a bit. According to the bottle this is rum is blended from ages rums, some ages for over 5 years in oak barrels. And then blended with fresh sugar cane destillate, ending with a charcoal filtering. Sounds impressive enough, but aging in wooden casks usually gives you a darker rum, and this is a pure blanco. Maybe a specific wood or barrel type. At least, there is no hint of aging due color nor smell to find. The rum is sporting a 37.5% alcohol (75 proof), so normal for a blanco. That leaves us to the smell. I'm getting a rather typical blanco rum smell. Meaning you can sense the alcohol right away, followed by some natural odors. Now when tasting this, i do have to agree with the labeling. The rum does have a alcohol numbing on your tongue effect, but nothing strange. Just a little burn in the throat. The taste itself is sweet at first, and going over in a more bitter aftertaste. And i don't know if i'm imagining things (my nose isn't working 100% at this moment), but in the aftertaste, i'm sensing just a tiny tiny little hint of a smokey, oaky thing. But only noticable when i'm trying really hard. Maybe due the filtering that this rum has blended into a more mellow sweet rum, it might also have taken away a bit of complexity. But compaired to other rums in the same price range (around €17,- for the 100CL) it can stand it's ground. A bit less complex, but a mild sweet rum with a somewhat more bitter aftertaste. But i do also have to say, almost all rums in this pricerange, and especially blanco's are made mostly for mixing, not for sipping. And thats what i thing this rum is doing fairly good. The lack of complexity won't be noticed in a mix, neither the slight bitterness in the end. So a good alternative for your cocktails from the other mass market rums, that tend to be 1 or 2 euros higher in price. This rum is made from blended caribbean rums, but the company itself is dutch. So it's because i noticed the blue bottle in the shelves, otherwise i had never heard of this brand before. Therefor i don't know the availability in other countries. Overall final note: because the company seems to be quitte young, and for the pricerange of this rum, i don't have anything bad to say. It won't be sipping material, but i don't think you will find any other blanco rums that are, that are comparable in price. Find more info on: the Baquba site. A very common cocktail this time, the margarita. There are so many rumours about who supposed to have created the margarita, that noone really knows for sure who it was. It was probably around 1930/1940 in the southern region in the U.S., or Mexico. What is know is that it's a very popular, and easy cocktail to make. And when things are popular, recipes tend to change, or vary allot. And there will be tons of (colour)variations on the original with different names to choose from aswel. 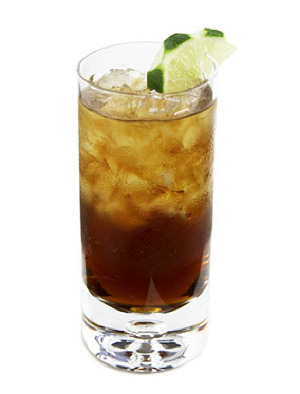 - 2 parts tequila (please, use real 100% agave tequila and no obscure mixto brands). 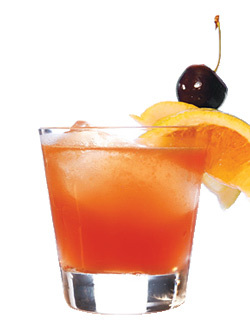 - 1 part triple sec, or any variation on the triple sec (cointreau, Grand Marnier). - 1 part fresh squized lime juice. Shaken, and served in either a rocksglass or a cocktailglass over ice. Rimmed with salt, and garnished with a lime weel if you want to be really fancy. As usual, the ratio's greatly differ, the standard IBA list of cocktails state a 7 parts tequila, 4 parts triple sec and 3 parts lime juice. But the one stated above is far more easy to do at home. But toy around with the ratio's you personally prefer. And as a final note, the cocktail gets as good as the ingredients you use to make it. So trying to blend in a mixto for a tequila will affect the taste of the drink dramaticly. Same goes for the triple sec, and basicly everything you use in a cocktail, given there is enough in the drink to make it noticable. Don't agree with the above? Other things to share about the margarita? I've changed the commenters options, so everyone should be able to comment, no sign in required anymore. As promised to someone, time for a cocktail recipe! To be more precise, the daiquiri. The basic *design* of this cocktail goes way back to the 18th century when sailors mixed rum with the same style of additives as when the daquiri was defined with that specific name in 1905, in, you could have guessed it, a town called Daiquirí, in Cuba. 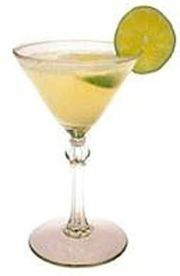 While in that specific daiquiri they used Bacardi white rum, every white rum should work just fine. Other then the basic recipe, there are tons of variations to be found. - 8 to 9 parts white rum. - 2 to 4 parts lime juice. - 1 part simple syrup (water and sugar mixed into a 1 to 1 ratio). The ratio's differ allot, and the ingredients are so simple, that it wouldn't do much harm to change the ratio's around a bit. For example, if you're a huge rum lover. It's summertime, so time for some general information about tequila, as in the different types, what is a tequila made off, why not all agave products can be called tequila, etc. First off, what exactly is a tequila? The distilled spirit of the agave plants in general is called mezcal. Tequila is the product of the blue agave.While other agaves can be used, only the product of the blue agave can be called a tequila. And only if it is made in the tequila region in mexico. If made anywhere else, it can't be called a tequila, prohibited by law. The Mexican government made this law to create a quality mark for tequila. When the blue agave plant is around 6 to 8 years old, the leaves of the plant are removed, and the juicy heart of the plant is collected. This heart is heated and shredded. After that, it gets masurated, and the *musto* is fermented, and later distilled. Now comes into play what style of tequila they plan to make out of it. First off there is the choise of a pure 100% agave tequila, and then there is a mixto, a spirit with 51% pure agave, and the other 49% is often filled with sugarcane, or other sugars. In general the 100% agave products are the one to look out for, and are in most cases superior to the mixto's, due them beeing all agave, and not a random mix with often artificial flavourings and colourings added to give the mixto a impression to be aged. All pure agave tequila's will have 100% agave text written on the label in some form. This is a often non aged, clear tequila. This is as pure as it gets (unless it's a mixto ofcourse..). Some brands do store the tequila in stainless steel tanks to smoothen a bit before shipping. In most cases a mixto, where they will add colourings and flavourings to give the impression of age. But it can be a mix between a blanco or reposado or older tequila. But if so, it will tell you on the label somewhere: 100% agave. This is a real rested tequila. Aged in wooded barrels between 2 and 11 months, it will take over a bit of the colour and taste of the wood itself. So the material and possible former uses of the barrels (storing whiskey, wines etc) can greatly effect the taste. The next best step, tequila aged for at least a year. Since it's aged longer, it will have more properties of the wood and a darker colour. 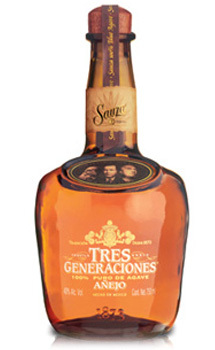 This is a even more aged tequila, aged more then 3 years, taking yet even more properties of the wood in it. In general, how more ages the tequila is, how better suited for sipping pure. Most blanco's can be used best for cocktails, or shots. But this also depends on the brand, and also on the pricetag of the bottle. Since time is money, the more aged a tequila is, the more you will have to pay for it. And to let a expensive extra añejo simply vanish in a mix drink and let all unique flavours get masked by the taste of something else is simply not done. For more detailed information take a look at tequila.net. And as always, feel free to comment. Since i wanted to improve the look of this blog, i was, and still am toying around with some different themes. Any links that don't work like they should? Other elementents not working like intended? That will probably be of short notice while *under construction*. So if anyone has any suggestions or feedback? Don't be afraid to comment. Since it has been a rather slow week or two, not that much updates unfortunately. 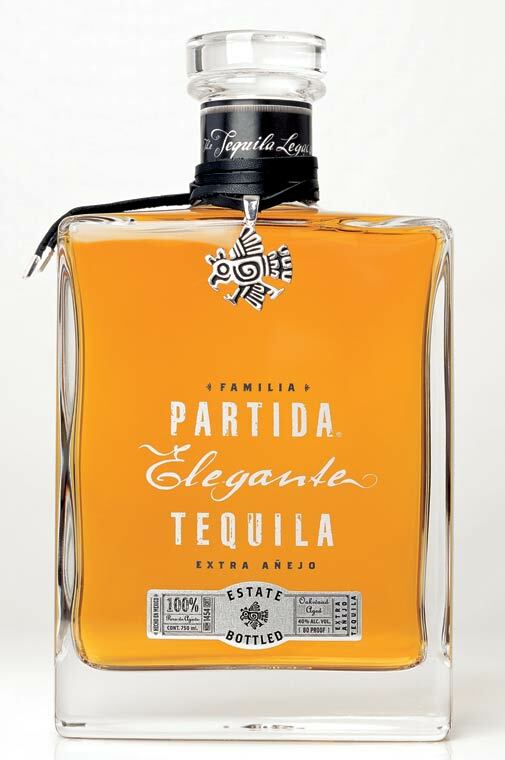 This will hopefully be over soon, untill then, you can read and dream about Partida's new Elegante Tequila here, and on their own website, here! No unfortunatly i'm not. But some people are, as you can read here. Jeff Arnett is the master distiller at the Jack Daniels Distillery in Lynchburg, and his job uncludes like you can read in the link above, tasting the whiskey. I bet there are quite a few people jealous of him right now.